Admission is free. Reservations required. RSVP beginning Wednesday, January 23, at 9 a.m.
Neo-Seoul looms in the futuristic sky of Hollywood science fiction films, teeming with glitzy superheroes and cyborgs. But do South Koreans also dream of electric sheep? 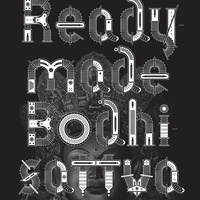 In conjunction with the publication of Readymade Bodhisattva: The Kaya Anthology of South Korean Science Fiction, this event brings together the legendary American writer Ted Chiang and three prominent figures of the South Korean SF world—writer Soyeon Jeong, writer Gord Sellar, and the director of the Seoul SF Archive, Sang-Joon Park—for an evening of SF storytelling. USC professor Sunyoung Park will moderate a discussion about culture and technology, the transnational migration of a global genre, and South Korea’s experiments with sci-fi during its rapid rise from being one of the poorest countries in the world to becoming a global economic and cultural powerhouse renowned for its cutting-edge cyberculture. Soyeon Jeong is a science-fiction writer, translator, and human-rights lawyer. Her short story collection Yeonghui Next Door (Yeopjip ui Yeonghui ssi) includes the award-winning “Cosmic Go” and was honored as the 2015 Book of the Year for Young Adults in South Korea. In addition to her prolific writing, she also serves as the chairperson of the Science Fiction Writers Union and as the executive director of the Boda Initiative, a non-profit organization for the education of children in developing countries. Sang Joon Park is an editor, translator, publisher, archivist, columnist, and critic. He has been responsible for publishing more than 100 sci-fi works in Korean translation and has contributed to cultivating a new generation of Korean sci-fi writers by serving as the founding editor for Fantastique (2007–2010) and the organizer of a wide range of reading communities and visual-art events on speculative fiction. He teaches SF-related courses at multiple Korean universities. Presented by USC Visions and Voices: The Arts and Humanities Initiative. Organized by Sunyoung Park (East Asian Languages and Cultures, Gender Studies).